In my writings I have often mentioned the lively music scene of the great port of Genoa – not surprising for a city that, throughout its long history, has been one of the many melting pots of the Mediterranean region, bringing together East and West, North and South in a heady mixture of tradition and modernity. This is the kind of fertile ground from where Fabrizio De André’s Creuza de Ma, one of the undisputed masterpieces of the whole ‘world music’ scene, originated. Five-piece Calomito, a relatively recent addition to the variegated Italian music scene, bring an unique twist to the time-honoured musical heritage of their home town, with a sound that marries the warmth of the Mediterranean with a strong international bent. 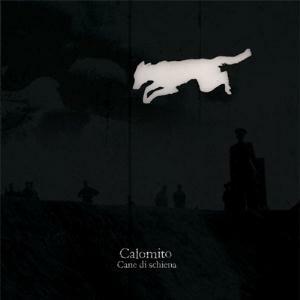 Calomito have been around since the mid-2000, releasing their debut album, Inaudito, in 2005. After a five-year hiatus and some line-up changes, the band have made a comeback with Cane di Schiena, issued in the first half of 2011 by Milan-based label AltrOck Productions (also responsible for outstanding, cutting-edge releases such as Yugen’s three albums and mirRthkon’s Vehicle). Though they have been almost forcibly placed under the RIO/Avant umbrella, Calomito are one of those bands that – luckily for fans of genuinely interesting music, much less so for those who delight in labelling everything – are extremely hard to pigeonhole, due to their boldly eclectic approach to music-making. As a fellow Italian reviewer jokingly stated at the beginning of his own review of the album, you may want to consider taking a couple of days off in order to listen to Cane di Schiena properly. Indeed, though clocking in at a mere 53 minutes, the album presents an incredibly dense (though never claustrophobic) amount of music which unfolds with each successive listen, and therefore devoid of any immediately digestible tunes. On the other hand, unlike what many believe about any kind of music that bears even a faint whiff of ‘avant-garde’, there is nothing discordant, abrasive or random about Calomito’s sound. Each of the tracks is clearly very carefully structured, as it is nearly always the case with ‘chamber rock’ outfits – a definition that, in my view, fits Calomito to a T. Like their label mates Yugen, they transcend the boundaries of the RIO/Avant classification, and should rather be seen as purveyors of eclectic yet oddly intimate music tha requires all of the listener’s attention to be fully appreciated. This does not imply that Cane di Schiena is one of those deadly serious albums that command a quasi-religious devotion. Calomito’s humorous disposition, which descends directly from the likes of Stormy Six and Picchio dal Pozzo (as well as the Canterbury scene, which is also a clear musical influence), immediately comes across from titles such as “Pappa Irreale”(a pun on pappa reale, the Italian for “royal jelly”) or “Infraditi” (an intentionally ungrammatical spelling of the word meaning “flip-flops”). The music itself, while quite light-hearted at times, can on occasion reach for a more subdued, sober tone. On the whole, Cane di Schiena comes across as a flawlessly executed album that never descends into a depressing or overly involved tone. As is the case of other ‘chamber prog’ ensembles, Calomito employ a number of other instruments alongside the traditional rock trinity of bass, guitar and drums, assisted by various synthesizers. 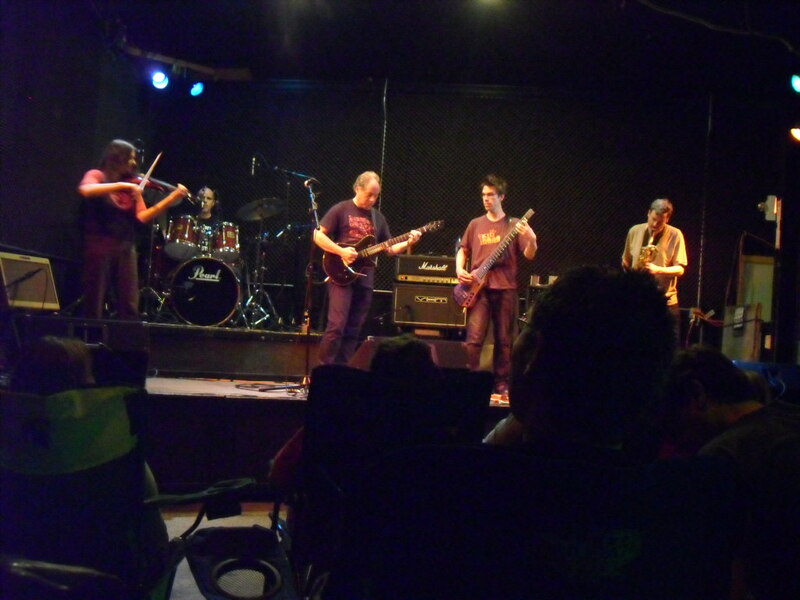 The substantial contribution of the horns evokes parallels with bands such as Miriodor, which emerge quite clearly right from the album’s opening track, “Bella Lee” – an incredibly dense 3 minutes of music; while the equally important role played by strings (violin and viola) brings instead to mind one of the best modern‘chamber rock’ outfits, Seattle-based band Moraine, as well as vintage Frank Zappa. The more upbeat passages, suggesting a jazz-rock or Canterbury matrix, made me think of Forgas Band Phenomena, though Calomito sound slightly more angular than the French band. Furthermore, while Univers Zéro’s broodingly apocalyptic production seems to be the polar opposite in tone to Calomito’s essentially cheerful approach, Nicola Magri’s stunning, beyond-merely-propulsive drumming style cannot but evoke the way in which Daniel Denis supports the whole fabric of the Belgian outfit’s sound. Trying to describe any of the nine tracks in detail would not do any of them justice. While “Infraditi” is probably the one track with the strongest connections to the RIO/Avant school of progressive rock – an astoundingly complex, 7-minute rollercoaster ride apparently throwing in anything but the proverbial kitchen sink, from carnival-like music to jazzy touches to jagged, almost dissonant passages – the somewhat low-key “Parliamone”, true to its title (meaning “let’s talk about it”) seems to reproduce a dialogue between two persons, with horns and synthesizers in the role of human voices. The choppy, dynamic “Fungo” exemplifies the way in which Calomito use pauses to create interest, rather than produce an impression of patchiness; while the title-track’s slow, meditative mood, some passages so low as to be barely audible, produces an intense, almost mesmerizing effect. Especially in the second half of the album some intriguingly exotic influences show up, which bring to mind comparisons with Slivovitz, another über-eclectic Italian outfit hailing from Naples, my home country’s second biggest port (and musical capital). “ Pappa Irreale”’s lilting, dance-like pace punctuated by violin is sharply redolent of Irish folk, or even American country; and the upbeat, drum-driven “Klez”, as the title points out, contains elements of klezmer and Eastern European gypsy music. A folksy also tone emerges in parts of the initially low-key “Antenna”, possibly the most complex number on the album (and the only one briefly featuring ‘weird vocals’), ending with an exhilarating crescendo in which guitar, trombone and violin seem to engage in a sort of conversation. Closing track “Max Dembo” introduces some new elements, such as spacey sound effects that enhance the powerful, rolling tone of the drums and the echoing guitar lines, as well as shades of Brazil in the relaxed, almost sultry pace of first half of the track. In spite of the density of its musical content, Cane di Schiena is far from inaccessible, and – while undoubtedly a challenging listen – does not rely on spiky, jarring sounds to make its impact. There is plenty of melody to be found on the album, and the music possesses a natural flow and easy elegance that make listening a pleasure rather than a chore. Even though fans of traditional symphonic prog may be daunted by anything bearing the label of ‘avant-garde’, I would encourage everyone who loves progressive music to give Calomito a try. With their successful blend of technical skill, seemingly boundless creativity, eclectic influences and keen sense of humour, they are one of the most interesting bands heard in the past couple of years, and definitely one to watch. 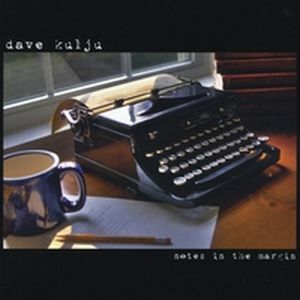 Notes in the Margin is the second album released by US multi-instrumentalist Dave Kulju, based in Rochester (New Hampshire). After his recording debut with Electrum, Frames of Mind (1998), followed in 2002 by Standard Deviation, when the band went on hiatus he started devoting his free time to his solo career, releasing Abstract Expression in 2007, which brought him to the attention of the community of progressive rock followers. Like Abstract Expressions – even if Kulju is in charge of the majority of the instrumentation – Notes in the Margin is not your typical, ubiquitous ‘solo-pilot’ projects made possible by modern recording technology, but features a real drummer, Frank Basile, as well as a couple of other guests. Unlike its predecessor, though, the album is not completely instrumental, and its centrepiece, the five-part epic “A Poet’s Talespin” (adapted from two poems by Australian poet Amanda Joy) features the amazing contribution of UK-based session vocalist Annie Oya. Three years in the making, the process lovingly detailed on Dave’s own website, Notes in the Margin is an unusually elegant, deeply literate effort that eschews any of the pretentiousness often associated with prog, and manages to emphasize emotional content without being mawkish or contrived. The striking cover, a photo taken by Kulju himself (who is a gifted photographer as well as a talented musician), immediately projects a stylish contemporary image that sharply deviates from the old prog cliché of fantasy/sci-fi themed artwork, with its still life centred around a vintage typewriter. According to the artist, the album title is a reflection on the process of making the record itself – a process involving a lot of rewriting and refinement, just like a work of literature. For a project completely conceived in the studio, Notes in the Margin sounds remarkably organic, multilayered though never overdone, each instrument standing out in clear detail. It comes very much across as a guitar-based album, showcasing Kulju’s fluid, clean style, inspired by the likes of David Gilmour and Andy Latimer without being derivative. Keyboards, on the other hand, are used more as a foundation than the main event, though the epic can boast of some positively gorgeous piano passages. Surprisingly, however, the real protagonist of Notes in the Margin is the bass, merging seamlessly with Frank Basile’s excellent drum work to set the pace, and stamping its own distinctive touch on the fabric of the compositions. The music flows smoothly, with enough complexity to satisfy the cravings of most prog fans, except those who are looking for innovation at all costs. Indeed, while Notes in the Margin does not offer anything startlingly new, neither does the vast majority of current releases, and the musical content here is undeniably above average. With a practically perfect running time of about 51 minutes, no filler is needed on Notes in the Margin, and none of the tracks feels padded or stretched beyond reason. 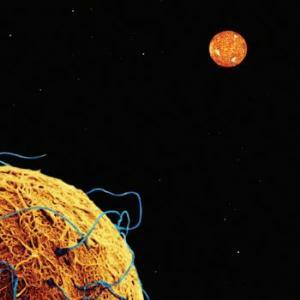 Album opener “Skating on Europa”, loosely based on the work of sci-fi author Arthur C. Clarke, is a forceful yet melodic number which, in spite of its almost 10-minute duration, never outstays its welcome. Driven by thunderous yet not overwhelming drums and a sleek, dynamic bass line, it pushes Kulju’s fluid, fiery lead guitar to the forefront with exhilarating effect. In “Know Again” (the English translation of the Greek word anagnorisis, the moment of recognition for the protagonist of a Greek tragedy) the keyboards take more of a lead role, and Ian Cameron’s contribution on acoustic and electric violin add further layers of dimension to a piece that, while not exactly jazzy, shifts subtly from a subdued tone to a sort of crescendo, slowing down again towards the end. The album’s epic, “A Poet’s Talespin”, which (like Shadow Circus’ “Project Blue” or The Rebel Wheel’s “The Discovery of Witchcraft”, to name but two recent examples) is conceived as five separate pieces strung together by a musical and lyrical fil rouge, rather than as a massive 30-minute behemoth. As previously hinted, it is also the only composition featuring Annie Oya’s lovely vocals, soothing and melodious yet devoid of that cloying sweetness all too frequent in female prog singers. Introduced by a gorgeous classical piano piece, the romantic, mid-paced (and very aptly titled) “Soft Collisions” develops into a number of subtle complexity where the vocals are complemented by Kulju’s superb guitar and bass work and the recurring presence of the piano. “The Bridge” treads spacey territory, with a subdued, more acoustic bent; while the symphonic, keyboard-driven “I Write” is brimming with gentle sadness, and “In the Shadows” closes the epic with an instrumental reprise of the main theme, rendered in spacious, atmospheric tones reminiscent of Pink Floyd. The album is wrapped up by two instrumentals – the highly dynamic, riff-based “Get the Hell Off My Lawn”, bringing to mind Rush compositions such as “Leave That Thing Alone”, with bass and guitar working together to create intense textures; and the short, somber keyboard piece “Counted the Stars”, named after a phrase in an Anne Sexton poem that was the earliest inspiration for the epic. 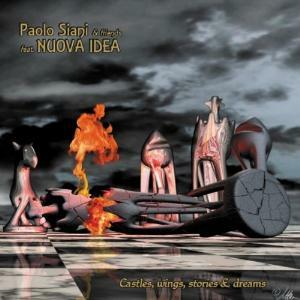 In spite of his tenure as the drummer of Italian Seventies band Nuova Idea, Paolo Siani is certainly not a household name in the world of progressive rock – unless you count those dedicated fans of the scene who collect even the most obscure albums. Additionally, he shares the same name with an Italian-American artist of vastly different temperament, which can be misleading to those who are looking for more information. Although an excellent outfit, Nuova Idea did not achieve the fame of their fellow Genoese New Trolls (whom keyboardist Giorgio Usai and guitarist Ricky Belloni joined after the band’s demise) or Delirium, and disbanded after their third album, the highly-regarded Clowns, released in 1973. Subsequently Siani joined avant-garde outfit Opus Avantra for their second album, then beat band Equipe 84. Though he dropped off the musical radar for almost three decades, he worked as a producer and kept writing and recording his own music. It was the renewed interest in prog and the Italian Seventies scene that prompted Siani to resume his career as a musician – as well as a commendable humanitarian purpose, that is, raising funds on behalf of Genoa’s renowned Gaslini paediatric hospital. Though Castles, Wings, Stories and Dreams, released by Genoa-based label Black Widow, is to all intents and purposes a solo project by Siani, it also sees a reunion of sorts of his mother band, as well as an impressive roster of guest musicians, including three of his former Nuova Idea bandmates: the above-mentioned Giorgio Usai and Ricky Belloni, plus guitarist Marco Zoccheddu, who had left the band to join Osage Tribe after Nuova Idea’s debut. Unlike many albums of this kind, however, it is remarkably tight from a compositional point of view. 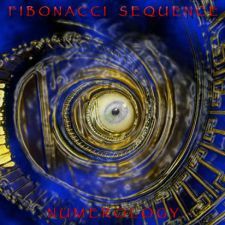 Moreover, despite Italian prog’s reputation for being somewhat overwrought, the album avoids that particular trap, keeping melody and clarity at the forefront while not neglecting the occasional flight of instrumental fancy. Clocking in at under 50 minutes, Castles, Wings, Stories and Dreams is a decidedly song-oriented effort that manages to achieve a good balance between vocal and instrumental parts. The album opens with “Un Dono”, where an expressive male voice recites a brief, uplifting text by Mahatma Gandhi on a backdrop of sparse electronic keyboards. The following instrumental, “Wizard Intro”, blends symphonic suggestions à la Yes with hard rock touches, all infused with an unmistakable Italian flavour. “Chimera”, also instrumental, hints instead at a jazzy inspiration, with a loose structure made up of different solo spots (bass, sax and piano) over a train-like background rhythm provided by drums and keyboards. Siani’s voice can be heard on one track, “Questa Penombra E’ Lenta” (which is also the closest the album gets to a conventional ballad in the unique Italian style), assisted by the clear, melodic voice of Ottavia Bruno, and complemented by lovely acoustic guitar and an airy synth solo. Three tracks feature the powerful yet clear voice of Roberto Tiranti, lead singer of power/progressive metal band Labyrinth (with a brief stint in New Trolls in the late Nineties). His gritty performance on “Cluster Bombs” – a hard-hitting, anti-war song powered by Hammond and military-style drumming that owes more than a little to Deep Purple or Uriah Heep – increases the song’s emotional impact. Tiranti shows his more melodic side on the 10-minute, 4-part epic “The Game”, a richly textured composition where all the instruments get their chance to shine without overwhelming each other, with Hammond flurries and wistful violin strains. Tiranti then reverts to a more authoritative, hard-rocking persona in the haunting “Madre Africa”, where the Deep Purple influences represented by Joe Vescovi (formerly of The Trip, a band that briefly included Ritchie Blackmore among his members) and his Hammond organ are tempered by Mauro Pagani’s flute, whose sound brings to mind Delirium or Osanna. The album is wrapped up by two short, low-key pieces, the melancholy, cello-driven “This Open Show” and the instrumental “C’Era Una Volta”, a Baroque-inspired number performed by Siani alone. As can be expected, Castles, Wings, Stories and Dreams is not particularly innovative, nor does it pretend to be such. Like other fellow reviewers, I also have some reservations on the choice of mixing Italian and English lyrics. The supposed ‘international appeal’ of English vocals, in my opinion, dilutes that unique quality of Italian prog that is so often connected with the use of such a great vehicle for music as the Italian language. However, in spite of these drawbacks, the album is a solid effort, a fine slice of vintage Italian prog with a thoroughly 21st-century sound quality, and excellent performances all round from Siani and his guest musicians. 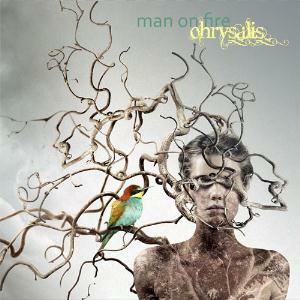 The album should also appeal to fans of classic hard rock with progressive overtones. At the time of writing, Paolo Siani is planning a live show in October in his hometown of Genoa, which hopefully will not remain a one-off.